elbekko had the most liked content! 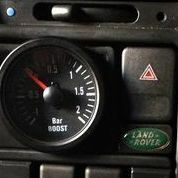 Programming, cocking about with Land Rovers. My Mercedes dealership also has the cars and commercial/trucks in the same building. No issue there, I don't see why JLR would mind. Especially considering the heritage they're selling. Air suspension dependability in remote areas is fixed with a push-fit schrader valve and an air compressor. The bags themselves are hardly failure items, unless you run them for 20 years without looking at them. Just like other rubber components, like tyres. For me the trade-off of a bit of extra maintenance is so worth it for the versatility of air suspension. Towing, heavy loads, aerodynamics at high speed, ground clearance at will, ... Plus, it allows independent suspension to work better off-road by cross-linking the bags, mimicking a live axle. I'm honestly interested in the new Defender. If it's somewhat affordable, offers a BIK-friendly hybrid option, and doesn't look like arse I'd seriously consider one for the future. I'd definitely look at ignition, yes. Take the plugs out and see which ones are firing? @Escape had his MileMarker hydro pump driven off the serp belt as well. Seemed to work quite well, but isn't suitable for big power. Worry about the liner if it ever becomes an issue. 99% chance you'll never have an issue with it. Yes, something must be wrong here, this is not at all normal. 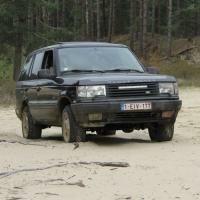 A Disco has an LT230 with manually locking diff, which will not be damaged by a missing prop. A RRC with a BW and a viscous coupling will be. Very different situations.